Does your business waste a lot of time inputting the same data into multiple programs? Think of how much easier things would be and how much time you could save if there was a way to “sync” all of your programs. 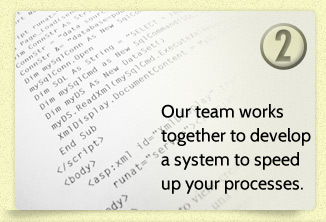 Visual Integrators offers systems integration services for a variety of platforms and programs. Our custom programmings gives you the ability to update one set of information for your entire network. We take off-the-shelf software and integrate it into your network with custom programming. 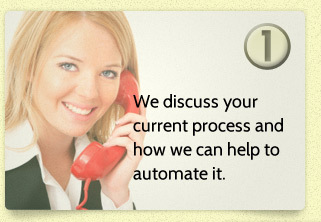 Contact us today to see how we can help streamline your business workflow by eliminating tedious and repetitive tasks. Dave's customer service is excellent ... He responds within hours of emailing him with questions or concerns about a program. Besides being pleasant he is very easy to understand and work with. Very dependable ! !